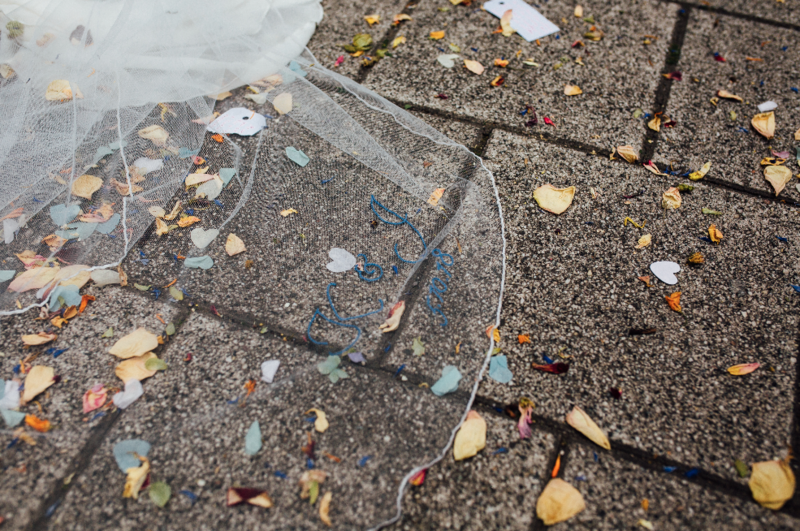 Katie and James knew from the moment they got engaged, the traditional 'big white wedding' wasn’t for them. They decided on a small, intimate affair with just our closest family and friends. Non of the traditional formalities, just a super relaxed day where their guests felt completely at ease to enjoy themselves. 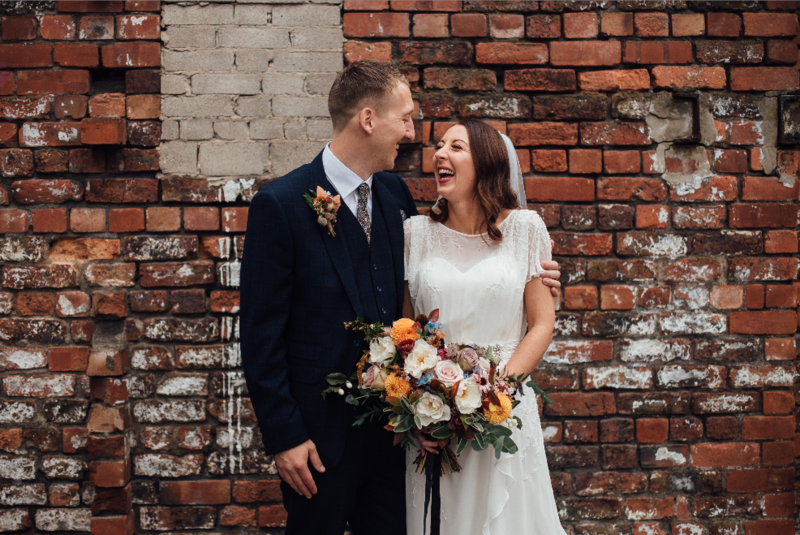 We were delighted to help plan and host Katie and James’ gorgous autumn wedding day, taking care of the smallest most beautiful detail so they could relax, celebrate and enjoy every moment! 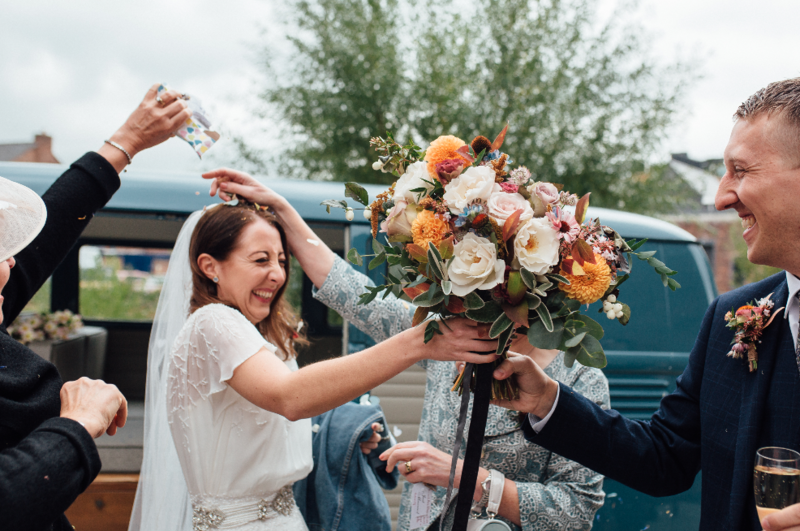 From the moment we pulled up in our vintage vw camper, courtesy of Vintage Volkswagens, everything was perfect! Our guests were already enjoying a peach champagne or a glass of beer from our favourite brewery, Tiny Rebel. After a few informal snaps with our photographer, Ellie Grace Photography, we sat down for dinner. The setting of the Chimney House was beautiful! 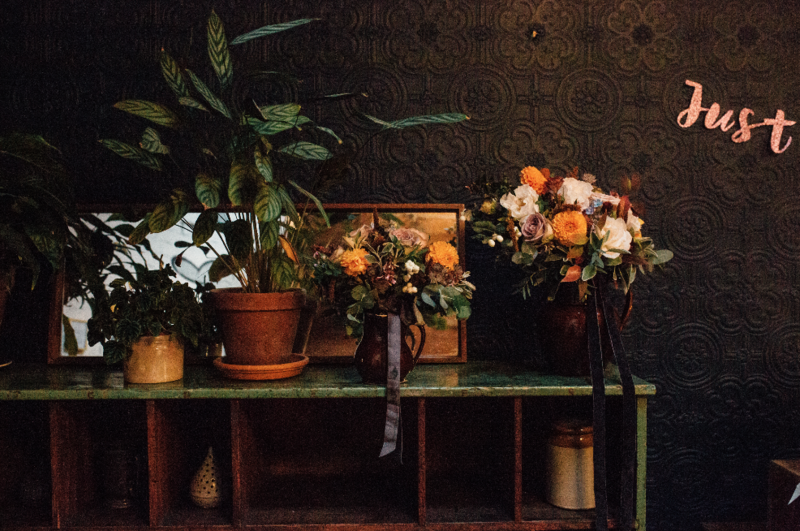 The room was filled with gorgeous autumnal blooms from Swallow and Damsons, and romantically lit with lots of antique candles. 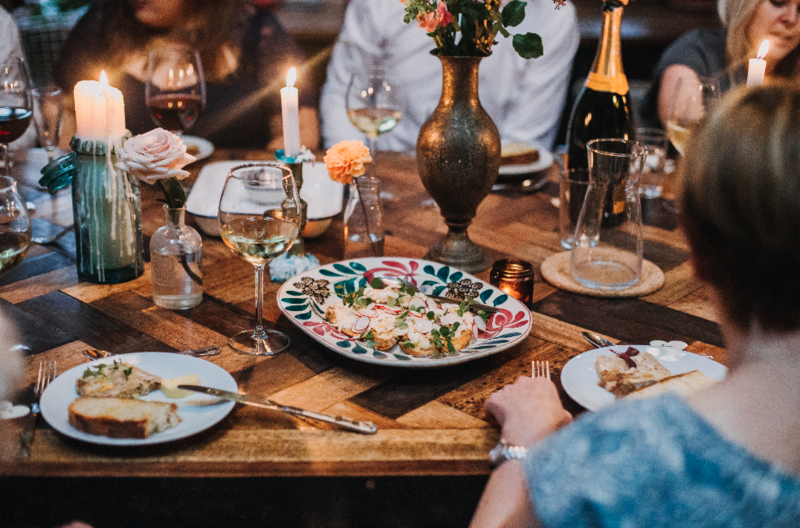 All of our guests were able to sit around one table which made it feel just like a big family feast! 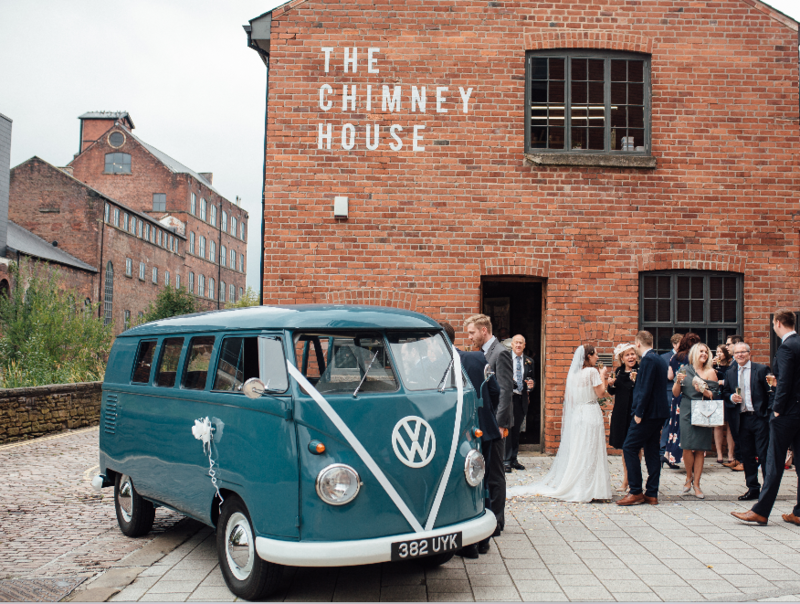 The food is mainly why we chose to have our wedding at the Chimney House. It plays a big part in our lives with Katie's parents being ex restaurateurs. Only coming out of retirement to make the wedding cake! Every element of it was pure delight and we were able to pair it with wines chosen by ourselves from Penistone Court Wine Cellars.